You'll never go wrong when you purchase a quality nail dryer that popular UK retailers are offering. You'll be amazed at how our team of supportive bargain hunters has come up with this amazing list just to provide you with great savings. You can save as much as 50% on selected nail dryer models from Amazon and Totally-funky. Deals from popular UK retailers would likely be on top of your options but you can also look for other great offers. We bring you just about the right cheap nail dryer deals which will work for your budget. AMASAVA 24W UV LED Nail Lamp, Gel Nail Dryer Machine - HALF PRICE! Save big on nail dryer from top UK retailers! 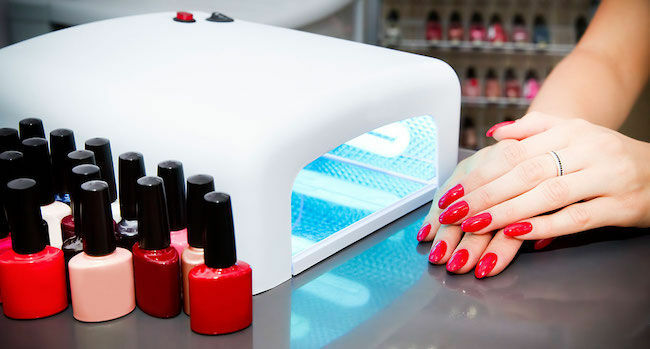 Nail Dryer is a device that is needed for UV curing in which ultraviolet light and visible light is used to make a photochemical reaction to generate a cross-linked network of polymers. Nail dryer UV curing is a process in which ultraviolet light and visible light is used to initiate a photochemical reaction. This process generates a crosslinked network of polymers. Nail UV curing is adaptable to stereolithography, assembling, decorating, coating, and printing of different kinds of products. The process of UV curing is high speed, solventless, and low temperature. Nail dryers make curing by process of polymerization, not evaporation. This type of process was introduced in the 1960s. UV curing technology has increased automation in various industries including the manufacturing sector. An LED nail lamp is used if there is a need for drying and curing coatings, adhesives, and inks. UV curing is also used to eliminate the need for using solvent removal solutions. It is used for different industries including food, cosmetics, medicine, and more. A nail dryer is essential in applying gel nail polish and artificial fingernails. There are a lot of models that are available in the market today including portable ones that are intended for personal use. The main advantage of using a nail dryer is the speed of curing finishes with ultraviolet light. This also makes the final product look more beautiful and allows greater consistency. Using a nail dryer definitely increases the quality of the finished product. It is also needed to do various kinds of nail art which will help improve your style. 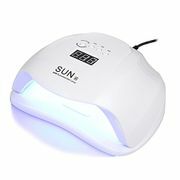 If you have a professional UV nail lamp, you can make your own designs at the comfort of your own home which is very convenient since you will not go to the nail salon anymore. It is also cost efficient since you will not pay for the services of the nail technicians. Nail dryers can be used for the nails of your feet and hands. It is also very easy to operate and most of the models have an automatic shut off features and timers. Makartt Professional Air Nail Fan Blow Dryer Machine. This device has an automatic sensor for both hands. NailStar Professional 12W LED Nail Dryer Nail Lamp. This model can dry your gel polish effectively. It has 30, 60, and 90-second timers. 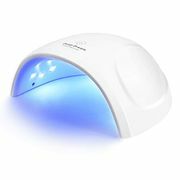 Bellanails Professional 21W LED Nail Lamp. This device has a removable base tray. It also has an auto on/off sensor. NailStar Professional 36 Watt UV Nail Dryer Nail Lamp. This works well with all gel nail polishes. It also has a 120 and 180-second timers. 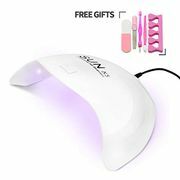 Kedsum 12W LED Nail Lamp Nail Dryer. It has a one-button control. It also has an auto shut off feature. USpicy 48W LED UV Nail Dryer Nail Lamp. It has an automatic sensor with a pull-down cover. It also has a USB light and three timer settings. You may be interested in buying a cheap nail dryer. Discounts and voucher codes that you can use at reputable UK retailers await you without ever having to leave your home. Shopping for fan nail dryers online can be a bit challenging when you are on a tight budget. You won't have to leave home to use the latest nail dryer Argos voucher codes or nail dryer Boots discount codes and go shopping for the item that you want to buy. There are a lot of amazing electric nail polish dryer deals online to choose from and you will surely get great value for your money. When purchasing electronic devices online, make sure that you are aware of the return policy of the UK retailers that you are purchasing from. This way, you can have your orders returned if ever you receive defective or damaged items. If you are looking for a nail dryer for normal nail polish then you came to the right place. This is a great opportunity to purchase the items that you are looking for because of the Nail polish dryer spray special offers available. You can save as much as 40% on selected items when you buy from Amazon, Totally-funky, and other UK retailers. Take this wonderful chance to find what you are searching for and get them at very low prices. Check the Latest Deals site frequently to know about the latest offers and bargains. Get access to cheap yet reliable nail polish dryers that popular UK retailers are selling on the internet. If you want to save more money, you can take advantage of the product bundles that are offered online. You can buy a quality nail dryer together with various nail art products. You can do your own manicure and pedicure at home which is very convenient and cost-efficient.